Our annual resident geese have returned. Dad is being extra protective this year by warning visitors not to get too close to Mamma. 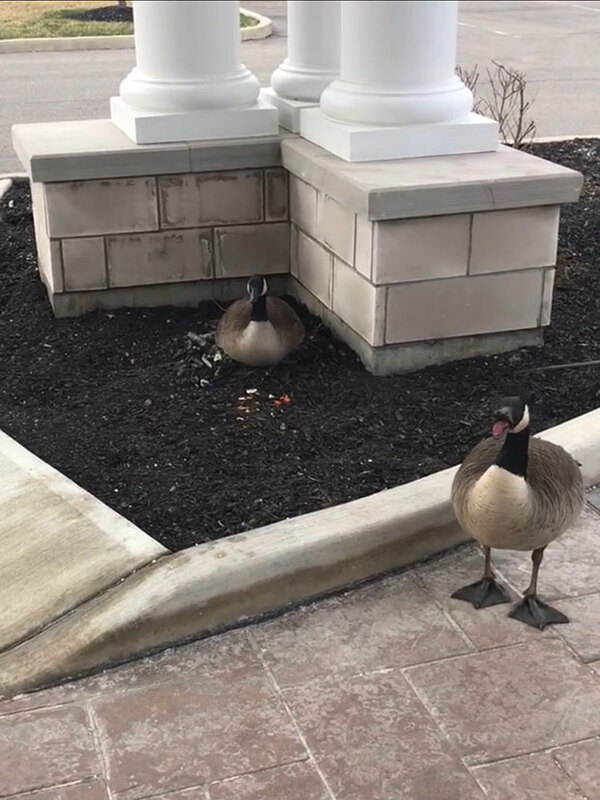 It's another sign of warmer weather and spring - and how Avon Place tries to be welcoming and caring to residents, families, and our community (even the geese)!